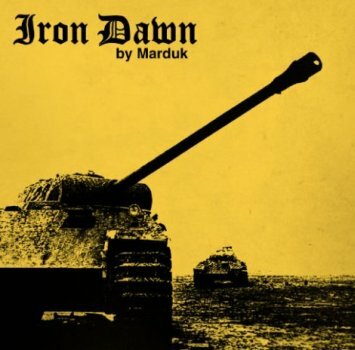 MARDUK - IRON DAWN EP (DIGI) | Online Shop | Wizard LTD. Album: "IRON DAWN EP (DIGI)"
Swedish black metallers MARDUK have finished recording three songs for a new EP, "Iron Dawn", that will be released in North America on the same day as the band's appearance at the Maryland Deathfest on May 27 (May 30 in the rest of the world via Regain Records). So the first chance to get your hands on the EP will be during the festival and the group's upcoming "7 Bowls Of Wrath" tour (taking place late May/early June). According to a press release, the songs included on "Iron Dawn" differ from the concept that is being created for the next full-length album. Therefore this EP will be made available as a special treat for all MARDUK legionaries out there. The "Iron Dawn" EP will only be available for a certain time period and will be unleashed on digipak version and also on 12-inch vinyl limited to 500 copies worldwide.